Austin Texas, March 12, 2014. On the SXSW conference this week, Blender Institute launched the first crowd-funded, open production computer animation movie – the Gooseberry Project. This feature length film will be made by 12 teams from all over the world, collaborating online using the newly launched Blender Cloud service. People who want to support the project can choose to split their contribution into small monthly payments, which then gives them access to the same Blender Cloud. This way the supporters will be able to watch and share the progress of the animation teams, and even participate in it. The crowd-funding target is to get 10,000 people to subscribe to the Blender Cloud – which already offers all the tutorial DVDs, movies and 3D data from previous Blender Institute projects. Monthly subscription is €10 ($13), supporters who stay on board for 18 months get a film credit rewarded. Blender Institute’s main purpose is to help bring open source 3D creation up to a higher level of support. The heavy demands of feature animation teams will define the work for 15 full time developers. Targets will include asset and project management, new hair and cloth simulation, advanced animation/simulation dependency handling, and work on rendering and compositing. As usual all the movie production data will be available under open source and Creative Commons licenses – including sound effects, mix and music. French animation director Mathieu Auvray (Babioles) will develop the script, together with Esther Wouda (Sintel). Both will work in Amsterdam with producer Ton Roosendaal, in the studio of Blender Institute – where central production coordination and development happens as well. The story is about Michel the sheep, who longs to get a more interesting life. It will be a funny, absurdist and adventurous love story. In total 70-80 people are expected to work for 18 months on the Gooseberry project, in 12 different countries on nearly every continent. Blender Cloud is set to become the new revenue system for Blender projects in the future, and is expected to offer exciting services for its subscribers in the future, such as storage, versioning, collaboration and sharing. I’m excited to follow this and to eventually see the movie, but I’m sad it’s so expensive to get into the credits. I loved being listed in the other open movies (granted, they were 10-minute shorts) for the price of a pre-ordered DVD. The feature film project will be at least 10x larger (and costing 10-20 times more) than the short films we did. The supporter credit is ‘just’ 5 times more expensive. We also will do dvds or blurays later on – I just don’t like it much to now sell products already which we can’t deliver for at least 2 years. Even when you don’t like the buzz word Cloud – just see it as a way to save the environment! Instead of printing 10k plastic boxes with plastic data discs in it and flying these with airplanes around the world, we just put the data online once, for everyone to browse. I sounded a bit negative before, but I’ve absolutely come around and am proud to be a sponsor, for the little that I can pitch in. :^) The credit roll thing makes complete sense, and of course for many of us people plastic discs and cases are wasteful. I think it is very expensive 180 euros to get the name in the film credits. In my humble opinion Blender Cloud is only interesting for 3d professional freelancers because although the cloud has a great value with a lot of workshops, tutorials, for many people that are not professionals they don’t need all of these stuff as they don’t have the time to learn all tutorials as we can see with the moderate succes of the fundraising. There are only 308 persons and 4 days have been passed. It will be hard to reach the target with the current situation . I bought some dvd tutorials in the past and also I preorder the dvd of Sintel. I like having these tutorials physically and there are part of my collection of dvd. Why do not give a dvd and bluray preorder option? 20 euros only to see the film as digital premiere is expensive but I guess that 30-40 euros for the film and the documentary in bluray and dvd is a good price and this idea was good for Sintel, BigBuck Bunny, Tears of Steel why not repeat with gooseberry. Why don’t offer a special box edition for 60-70 euros? Many videogames and films have special editions because have a great value for their customers. I’m not saying that you don’t offer Blender Cloud because I believe that will be a great resource and it has a great value but I say that it would be better give more options. In many kickstarters projects they have more options because you can reach more audience with more prices and rewards. I hope that the fundraising will be succesful but please take in consideration the idea of adding more rewards incluiding dvd, bluray and more choices if you want more people support the project. Thanks for the feedback. I also miss something in the 45 euro (60 dollar) range in our offers. We really want to make DVDs, Blurays and/or USB Flashdrives for people. But this then can only be delivered in 2 years from now. I thought it would be more fair to start the sales when the film premiere is known, sell it half a year before delivery earliest. People then wouldn’t feel like buying something they might not even have a use for. Further it is my impression most people don’t want a Movie DVD anymore (who watches PAL or NTSC film in 2 years?). They do like the DVD boxes for digital files or HD film. But – while Sintel and ToS (short film) already demanded a 4-DVD box – how to do it for a film that’s 10-20 times more data, at least? It might work a bit better for Bluray, but only for a minority of 2-5% of people who have this. Right now, when I need something from one of our past projects, even the *thought* of needing to browse through all dvds, putting them one by one in my computer and checking which disk it was again – already makes me to wish it to be all stored centrally! So: in that sense I really expect this cloud thing to grow and take off, and become one of the greatest public repositories for open software and creative commons content. You start up Blender, hook it up with cloud, and you can instantly browse 100s of character rigs, 1000s of models, 10s of thousands of textures… isn’t that interesting? I want to continue with the subscription during more than 3 months because I would like to get my name in the film credits and I want to support the entire creation of the film. I’ve helped fund several of the previous Blender open projects, receiving a disc reward and my name in the credits. The cost of doing so has always been manageable, and knowing I’ve helped fund Blender development and these awesome final products has been a great feeling. Howver, €180 is just too much I’m afraid. I can’t afford to be a part of this project, and that saddens me greatly. I understand the crits – 180 euro sounds very expensive – I would also not do this easily. However, this time we have a feature movie planned though, which will cost millions to make – the project is at least 10 times bigger than our previous films. A feature film credit for ‘just’ 180 euro then is a great offer, especially considering how much you get (the whole movie, all data, and a dozen or more developers work on Blender for almost 2 years). The thing is, I won’t actually make use of the assets (I haven’t from the previous short films either). I *really* appreciate the fact that these films help fund development for Blender (which is awesome BTW! ), but the way I’ve viewed it in the past is that I’ve paid ~€30-40 for a short film, whilst at the same time helping the Blender project, and getting my name in the credits (which many people, myself included, get a kick out of). I simply can’t afford to pay €180 for a film (digital or disc) which has my name in the credits… even though it helps fund development of such an awesome software project. Unfortunately, I don’t have that kind of expendible cash to fund FLOSS projects. I wish I did, but I don’t. I have a family, a house, a car, and bills to pay. There is a large difference between €40 and €180. I could probably stretch to €50 (though I’d like a BR disc of the film, a credit, and access to *download* the assets – I don’t need them on disc too!). The cloud stuff does sound great, and if I were better off I’d probably like to get involved, but right now this is not viable. I’m a bit gutted that this new funding model has been put in place, because it means that I can’t be a part of the new open movie project, and I’ve been looking forward to it since ToS (which whilst visually impressive, was nowhere near the emotional story-telling of Sintel BTW) was released. €50 for a BR disc of the movie (no assets) and your name in the credits. €50 for a usb drive of the movie (no assets), in a DVD case, with your name in the credits. Both of these would ultimately help you reach your goal, with lots more people like myself being happy to help in such a way. 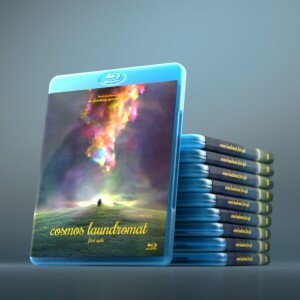 We will most likely sell Bluray, DVD and/or USB sticks with the film too. It was just not my plan to do this now, but more in the end of the movie work. Also in the end (your) support is important and welcome. That’s good to hear, though I’d wager that to hit your fundraising goal, the sooner you implement such a tier, the better. This far into the campaign, one would hope to see more participants, and you being closer to hitting the goal. I look forward to being able to help support the project and at the same time purchase another Blender open movie item I can add to my existing physical collection. You guys might want to put other payment options other than euros and allow for custom pledges. It would make it much easier for those around the world and who can’t afford but want to pledge something. Just a thought…. You can already donate any amount of money you want, just change the amount here http://cloud.blender.org/gooseberry/pledge in the text field. We are working on offering everything in USD too. This will be ready monday. I will likely be signing up soon, supporting Blender is important to me and if this amount is what you guys really need, I think I can make it happen. Best of luck, I’m excited to see what you guys make (both the art and new features)! 1) By donating €180, I will recieve a pre-paid Cloud account for the duration of the project and if it goes say a month or two over schedule would we have to put down another €10 every month? 3) Last but probably the most important to me, if the funding campaign doesn’t reach its goals in time, will the film still go ahead? If not, and we want to donate the full €180, is there an option to only donate if the campaign is successful and the film goes ahead? Can’t wait to follow this project till it’s completion and thanks for the help with my questions! Some people like me just like knowing every single detail before they commit to something big like this :) This is going to be a fun adventure for the whole Blender community! 1) The credit will be entirely yours, also when the film takes longer to complete. 2) Everything should be (will be) downloadable. It goes a bit against the whole idea of cloud though ;) We will have terabytes of data in the end. Also without Gooseberry we would have launched the cloud, and without gooseberry would be totally worth the bucks already. Hey, its great to be involved, I’m really exited to help. Now to all the concerns about the price, 180 EU sounds high; but really it’s not.Over all, I think some of the above concerns were valid, but look at it realistically, and its not so bad. 1. You spend more for other software – any other software you buy that even approaches the level of blender, is probably going to cost you that much or more , think of it as paying for the next blender upgrade. 2.Along with the expedited development of blender, you get a film credit and membership to a promising cloud service. 4. And its only 10 EU a month – cheaper than your monthly coffee, or CG Cookie subscription or really any other subscription out there. Hey. I stumbled upon your blog post the use of yahoo. That’s a rather well published content. I shall be likely to search for them obtainable returning to find out more of your respective valuable info. Thanks for the publish. Let me surely give back. There are two cheap research types at the barracks to upgrade rangers. First, when the game starts, you should buy Cloth Armor and 5 Health Potions. cookies made using egg whites, flour, sugar, vanilla and butter. Any insight/links will be amazing.